Follow the daily triumphs and challenges of Dr. Krista Latham of the University of Indianapolis and her students as they lend their science expertise to a grueling but rewarding humanitarian initiative on the U.S.-Mexico border. May 2019 — Under the guidance of Dr. Krista Latham, associate professor of biology and anthropology, the UIndy forensic crew will volunteer May 15-21 in Brooks County, Texas. They will be working with the community to conduct systematic searches of ranch land to potentially locate missing persons and with South Texas Human Rights Center to build life saving water stations along migrant routes. 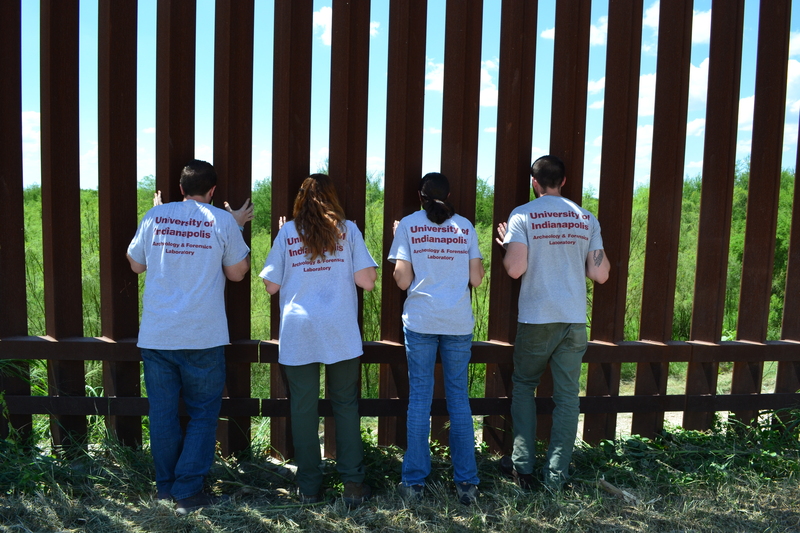 January 2019 — Under the guidance of Dr. Krista Latham, associate professor of biology and anthropology, the UIndy forensic crew will volunteer January 2-12 in Brooks County, Texas, working with Texas State University to locate and exhume the remains of undocumented migrants who died after crossing the border and were buried without identification in pauper graves. May 2018 — Under the guidance of Dr. Krista Latham, associate professor of biology and anthropology, the UIndy forensic crew will volunteer May 12-17 in Brooks County, Texas. They will be working with the community to conduct systematic searches of ranch land to potentially locate missing persons and with South Texas Human Rights Center to build life saving water stations along migrant routes. January 2018 — Under the guidance of Dr. Krista Latham, associate professor of biology and anthropology, the UIndy forensic crew will volunteer January 2-12 in Willacy County, Texas, working with Texas State University to locate and exhume the remains of undocumented migrants who died after crossing the border and were buried without identification in pauper graves. May 2017 — Under the guidance of Dr. Krista Latham, associate professor of biology and anthropology, the UIndy forensic crew will volunteer May 16-20 at Texas State University in San Marcos, TX. While at Texas State they will be working with Dr. Kate Spradley and her student volunteers on the analysis of unidentified individuals exhumed from Sacred Heart Cemetery during the 2013, 2014 & 2017 archeological field seasons. The UIndy forensic crew will then volunteer May 21-27 in Starr County, Texas, working with Texas State University to locate and exhume the remains of undocumented migrants who died after crossing the border and were buried without identification in pauper graves. January 2017 — Under the guidance of Dr. Krista Latham, associate professor of biology and anthropology, the UIndy forensic crew will volunteer January 2-12 in rural Brooks County, Texas, working with Texas State University to locate and exhume the remains of undocumented migrants who died in the ranch land after crossing the border and were buried without identification in pauper graves. 2016 — Under the guidance of Dr. Krista Latham, associate professor of biology and anthropology, the UIndy forensic crew will volunteer May 8-13 at Texas State University in San Marcos, TX. 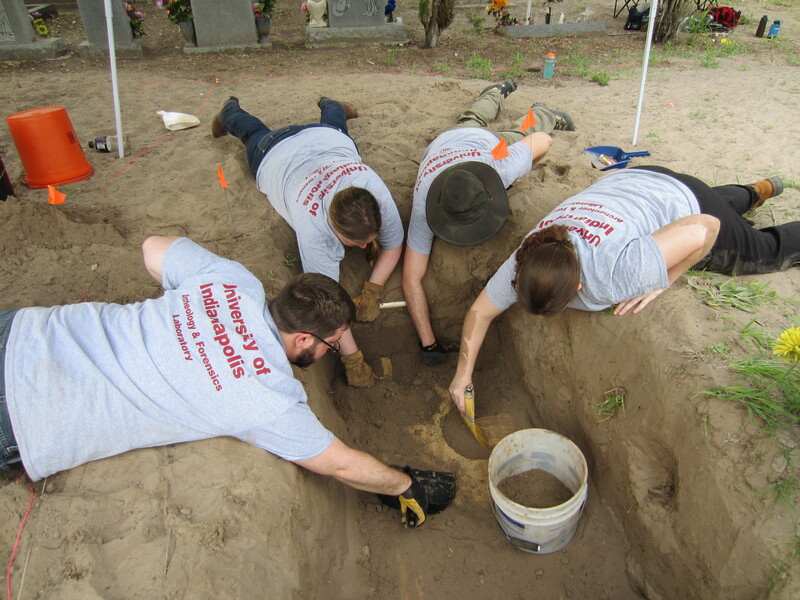 While at Texas State they will be working with Dr. Kate Spradley and her student volunteers on the analysis of unidentified individuals exhumed from Sacred Heart Cemetery during the 2013 and 2014 archeological field seasons. On May 14 they will be participating in the 2nd Annual Missing in Harris County Day event in Houston, TX. They will then travel to rural Brooks County, Texas, to volunteer with the South Texas Human Rights Center until May 18. 2015 — Under the guidance of Dr. Krista Latham, associate professor of biology and anthropology, the UIndy forensic crew will volunteer June 8-13 in rural Brooks County, Texas, working with the Brooks County Sheriff’s Department and the South Texas Human Rights Center. Then they will be volunteering June 13-20 at Texas State University in San Marcos, TX. 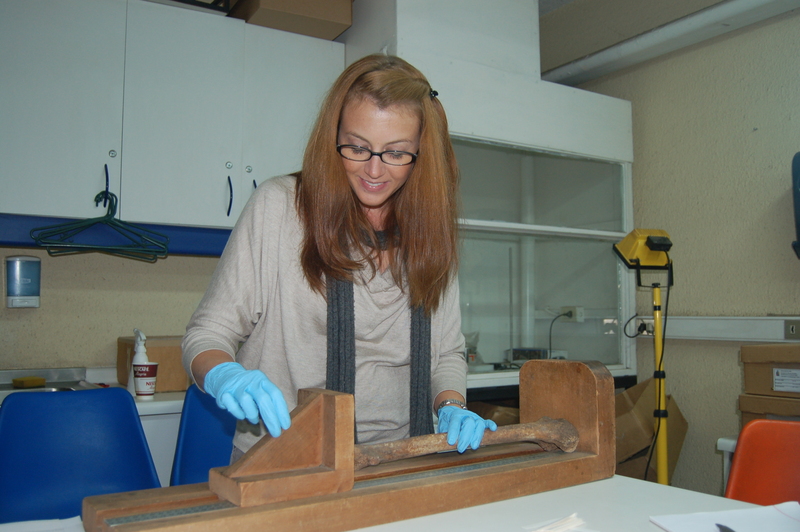 While at Texas State they will be working with Dr. Kate Spradley and her student volunteers on the analysis of unidentified individuals exhumed from Sacred Heart Cemetery during the 2013 and 2014 archeological field seasons. 2014 — Under the guidance of Dr. Krista Latham, assistant professor of biology and anthropology, the UIndy forensic crew will volunteer June 1-12 in rural Brooks County, Texas, locating and exhuming the remains of undocumented migrants who died in the ranch land after crossing the border and were buried without identification in pauper graves. The phenomenon is playing out in border communities across the Southwest, where local officials often lack the resources to identify or even properly bury the remains. 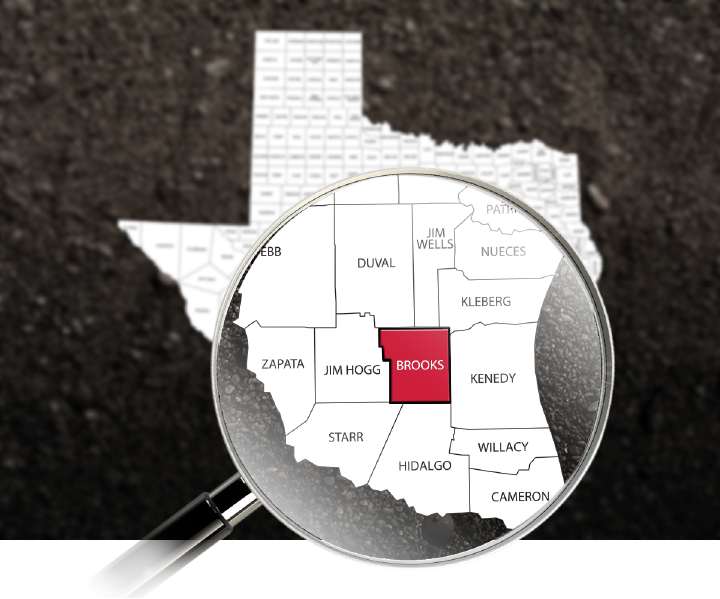 Brooks County alone has averaged 65 bodies or sets of skeletal remains discovered each year since 2009. “Many of these individuals are escaping the violence of their own countries to provide safety and a better life for their families,” says Latham, who calls the situation “a human-rights crisis.” Meanwhile, desperate relatives throughout Latin America are awaiting word on their missing loved ones. This project is part of a major initiative overseen Operation Identification (Texas State University).